APOLLO 11 “40TH ANNIVERSARY” LIMITED EDITION The first manned lunar landing on the 20th of July, 1969 was the greatest, most dramatic scientific achievement in human history. 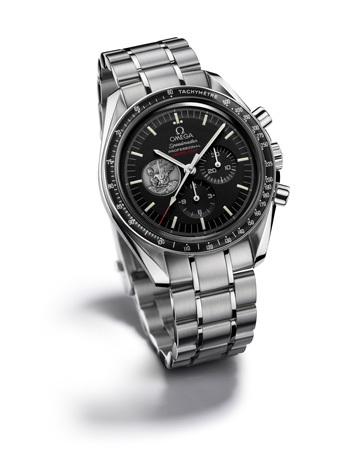 When Neil Armstrong and Buzz Aldrin stepped onto the moon’s surface at 02:56 GMT on the 21st of July, Aldrin was wearing his OMEGA Speedmaster and a legend was born. An interesting footnote: the electronic timing system on the Lunar Module was not functioning correctly so Armstrong had left his watch aboard as a reliable backup.